The Nigeria Police Force wishes to implore the General Public and the media to disregard and discountenance a publication in some social media platforms that an Helicopter belonging to the Nigeria Police Force that landed at ST. PAUL PRIMARY SCHOOL, OMUARAN, Kwara State off- loaded cash into a vehicle belonging to Mr. Tunji Ajuloopin, the APC Candidate for the bye-election in EKITI/IREPODUN/ISIN/OKE-ERO Federal Constituency as untrue and mischievous aimed to mislead and misinformed the Public. 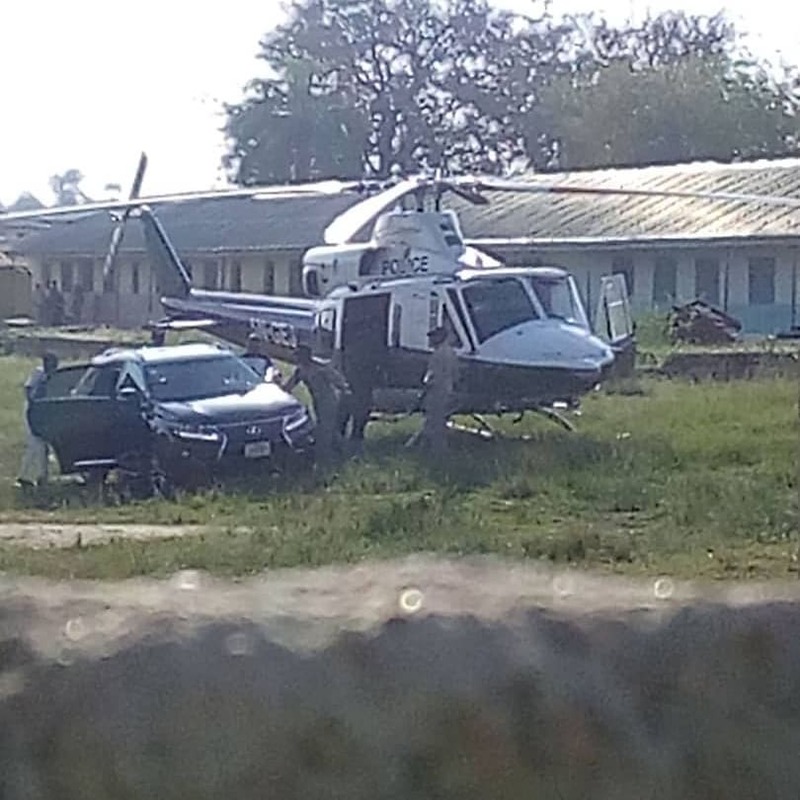 The Force categorically wishes to let the public be aware that the Police Helicopter and vehicle in the picture being circulated were not used to convey any Cash and the vehicle does not belong to Mr. Tunji Ajuloopin as claimed in the report or to any other politician. 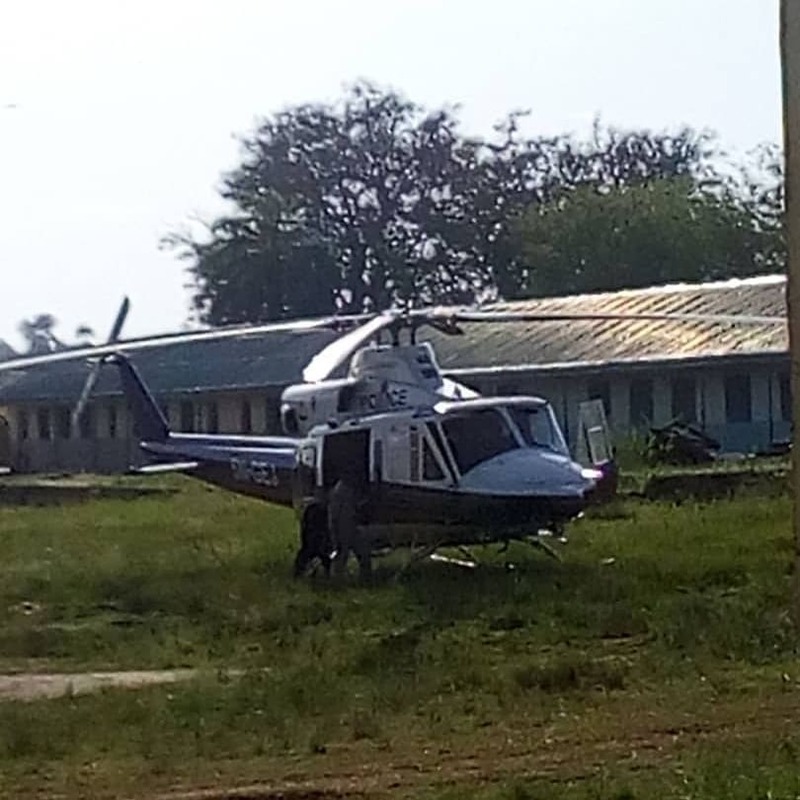 For avoidance of doubt, Police Helicopters deployed for the Saturday, 17th November, 2018 Bye-Election Surveillance patrols and support services to ensure secure environment for the bye-election to fill the vacant Seat in EKITI/IREPODUN/OKE-ERO/ISIN Federal Constituency in Kwara State have commenced flights in and out of Kwara South, Kwara State on Surveillance patrol and the Airlift of Police Officers for the Election. This is what was captured on camera and mischievously released to the public. To set the record straight once again, there was no cash off-loaded to any vehicle at OMUARAN. The Force sees the report as desperate and deliberate blackmail to misinform the public which should be discouraged by all. Members of the public, most especially Electorates are hereby enjoined to disregard the Publication. The renewed commitment of the Nigeria Police Force to ensure adequate security for a free, fair and credible election in Country remains unwavering. 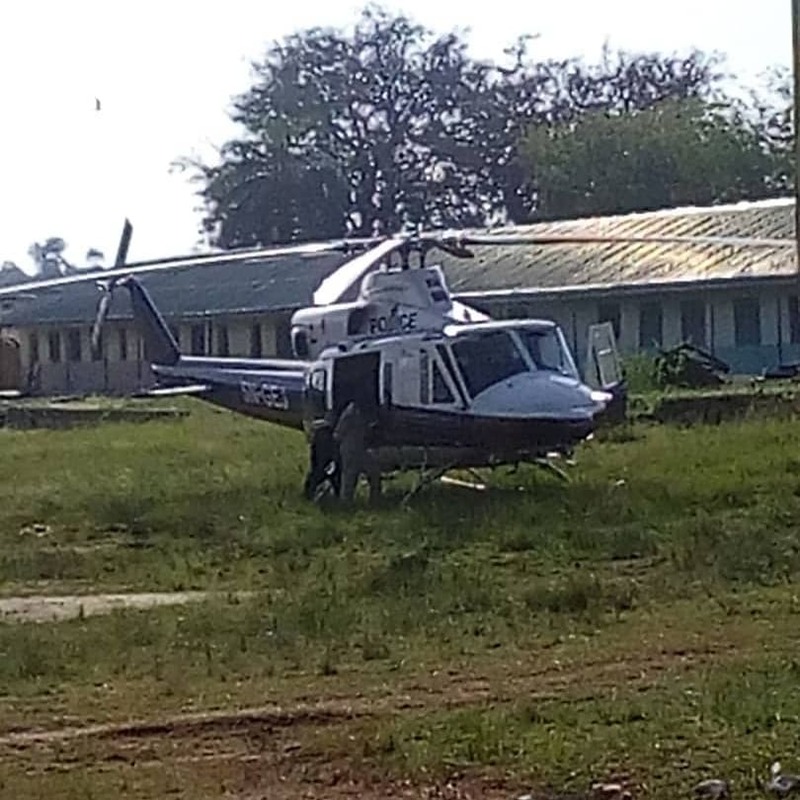 In these attached pictures is a police helicopter, which landed at St. Paul's Pry Sch, Omu Aran, Kwara State, a few minutes ago. 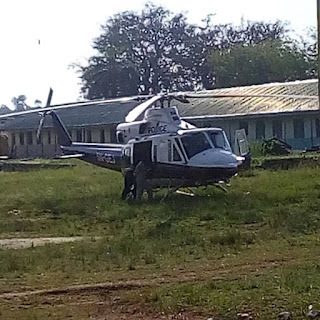 Now, this helicopter did not land by accident. 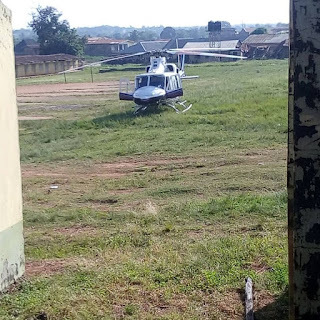 Immediately it landed, the men aboard allegedly brought out five Ghana-Must-Go bags and dropped them in the vehicle (as seen here) of one Alhaji Tunji Olawuyi, popularly known as Ajulo Opin, a House of Reps candidate in Saturday's bye-election in the state and flew away. This reportedly happened around 5.30pm today. Recall that a member of the lower chamber of the National Assembly, Mrs. Funke Adedoyin died recently and INEC is conducting a bye-election to fill the vacancy this Saturday. Interestingly, the IG had also reportedly changed all the DPOs in that axis recently preparatory to Saturday, perhaps. 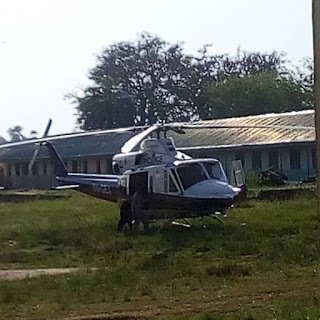 The IG therefore has questions to answer as far as this unwholesome development is concerned even though no one has ever been held responsible in Buhari's Nigeria, whether or not the infractions are obvious. 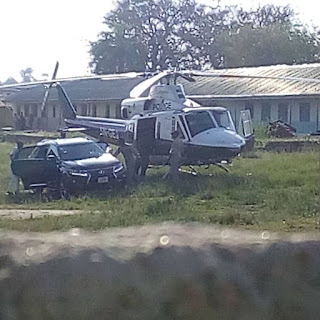 But we seek answers to what a police helicopter dropped off in a private vehicle of a politician, a few days to a major election in which the said politician is a contestant?